What is the role of an Executive Advisor? What differentiates The Sandler Group? What do you mean by ‘real change’? What sort of clients do you tend to work with? How would you describe the process that you use in your executive advising work? Leland is the Managing Partner and an Executive Advisor for The Sandler Group based in Del Mar, California, a management-consulting and executive advising company that focuses on improving the business aspects of the global life sciences and technology communities. Our media platform contains several elements, combining the best of internet as well as mobile distribution. Our on-demand streaming channel currently reaches 104 countries worldwide each month with interviews by some of the most renowned success stories in business today. 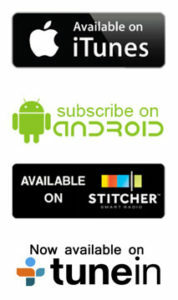 It is the E Podcast Network – streaming on demand 24.7!